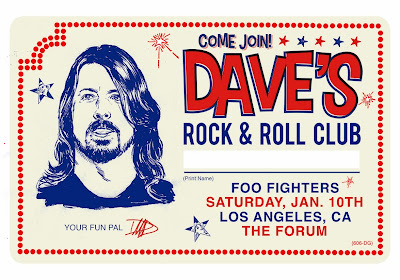 The Foo Fighters will play a benefit show this Saturday at the Los Angeles Forum. The last-minute concert was announced on the band’s social media sites Wednesday, with tickets going on sale Wednesday evening. The Forum event will see the Foo Fighters perform their first show of 2015 in the round. $10 of each of the $50 tickets will benefit three music-releated charities: Rock School Scholarship Fund, MusiCares and Sweet Relief. Next week, the Foo Fighters launch a tour of South America in support of “Sonic Highways” before heading to New Zealand and Australia for dates starting next month. A summer North American run starts July 4 at Washington’s RFK Stadium.